The annual cost of running the Novium Museum and Chichester’s tourist information service is more than £550,000, it has been revealed. 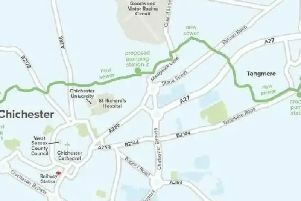 The attraction in Tower Street is heavily subsidised by Chichester District Council, which has been examining several different options for its future over the past few years to make savings. The preferred option is to keep the management of the Novium in-house and implement income-generating and cost-reduction proposals suggested by its new manager. The cost of running the museum and tourist information service in 2017/18 was £555,160, while the budget for 2018/19 is £587,700. The figures are included in a report on the Novium due to be discussed by the council’s overview and scrutiny committee on Tuesday (June 19). Other options that are set to be discounted included inviting another organisation to run the museum, while another was to set up a charitable trust. According to an officers’ report due to be discussed next week areas to be examined include an improved cafe/restaurant offer, reduced opening hours and ways of increasing donations.